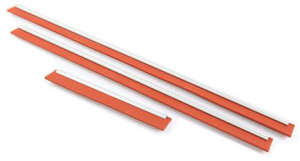 We know windows! 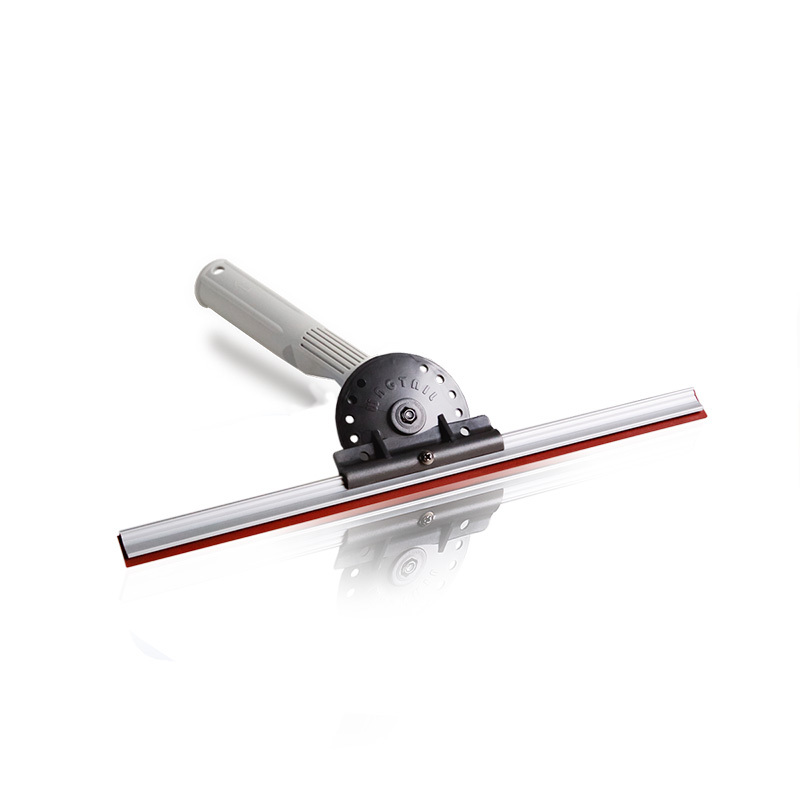 We've got more squeegees than you could, well.. poke a squeegee at! 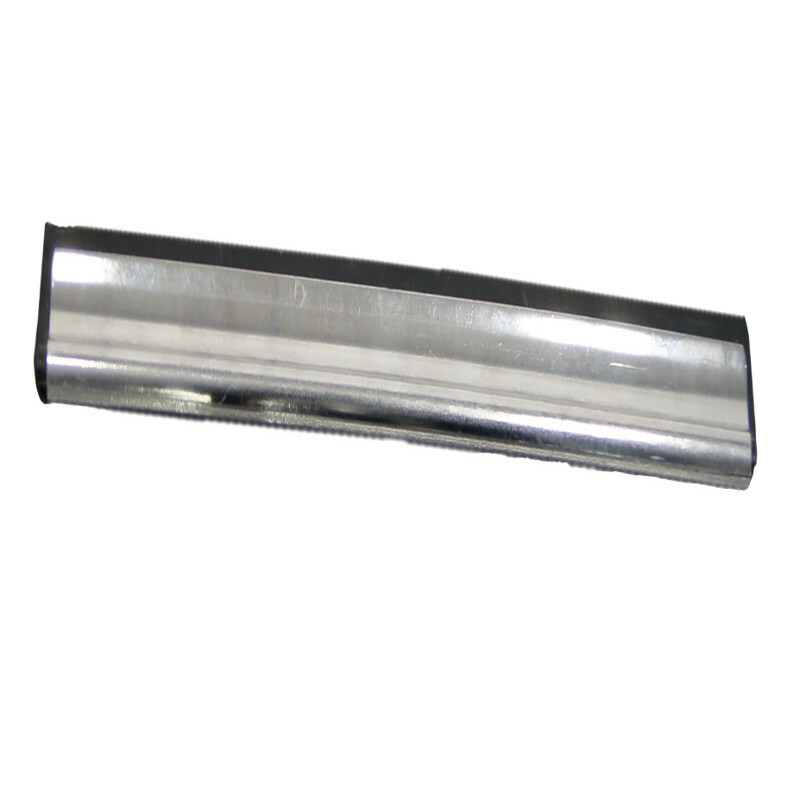 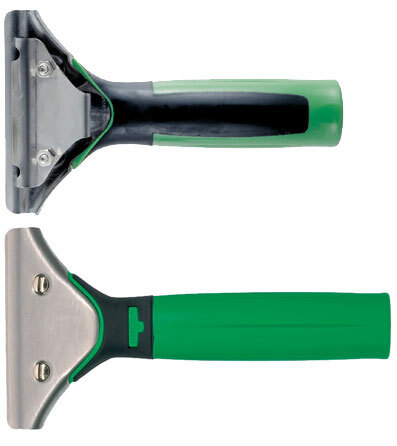 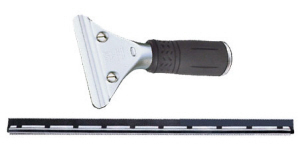 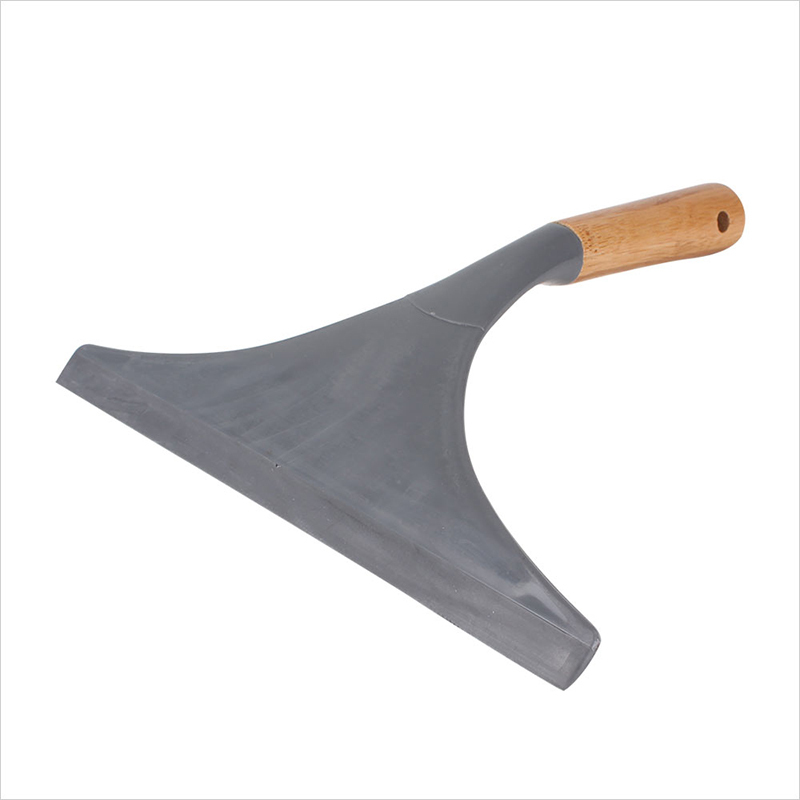 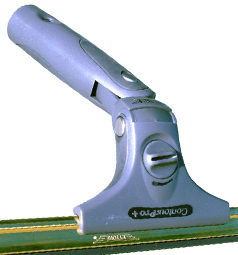 A window squeegee is comprised of 3 parts. 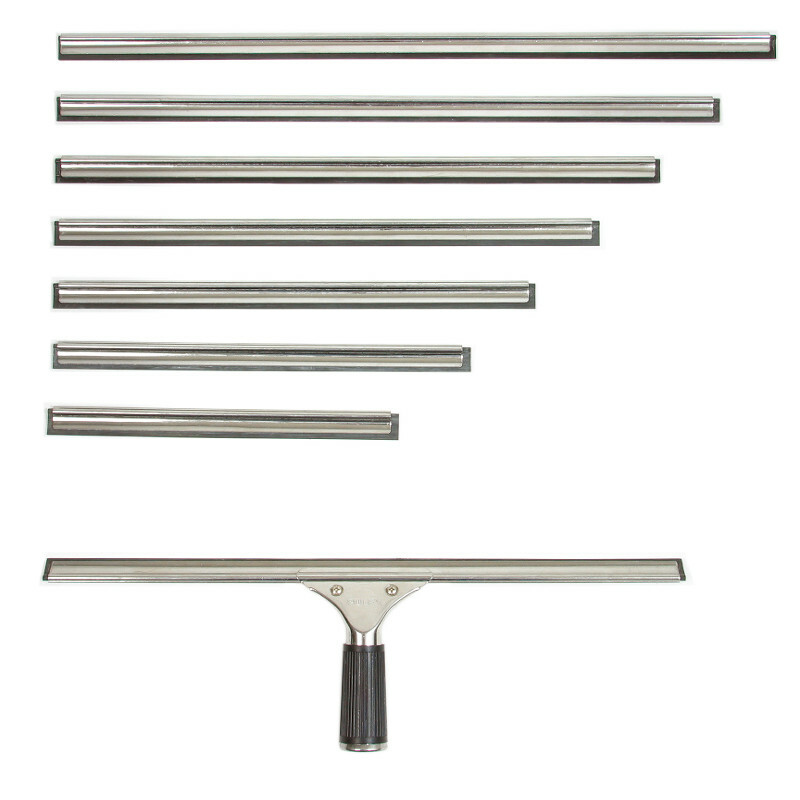 All these pieces must be purchased to put together a complete squeegee. 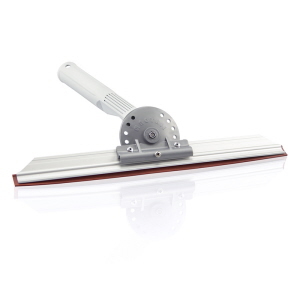 When choosing a squeegee it's important to consider the size of the windows you'll be cleaning. 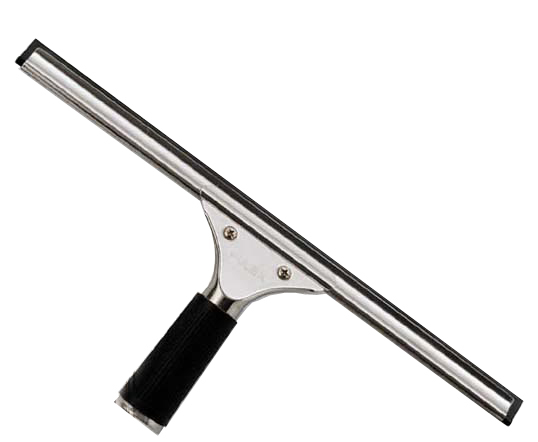 People often think that the bigger the squeegee, the faster they can clean. 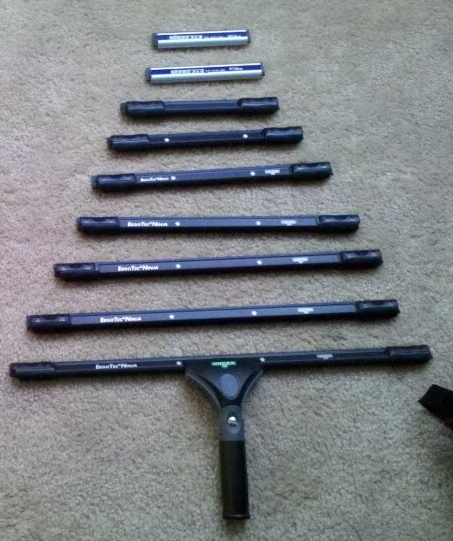 It's not always the case. 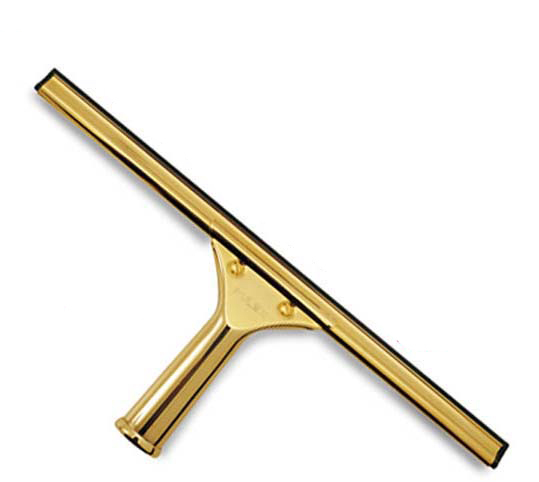 You must remember that you can always clean a big window with a little squeegee, but you cannot clean a little window with a big squeegee. 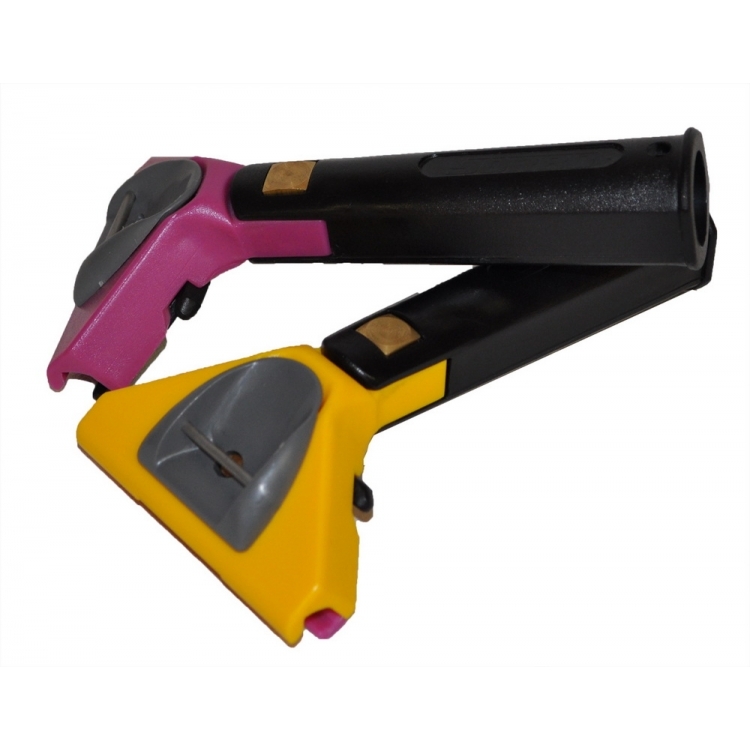 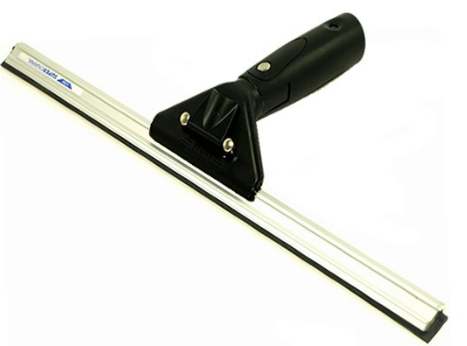 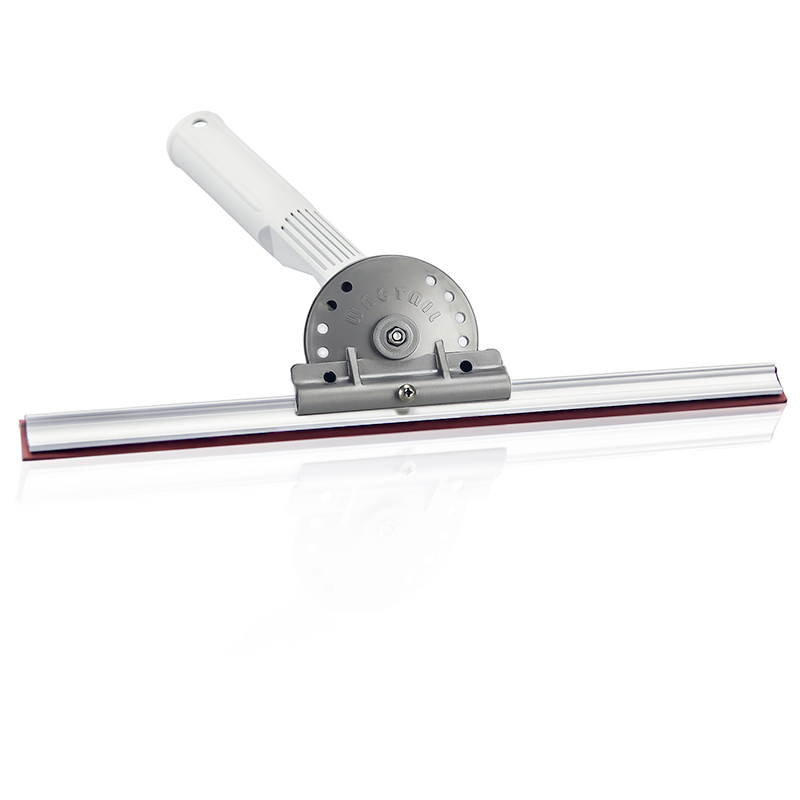 Many squeegee handles now offer "quick release" functions which allow you to quickly change the channel you're working with. 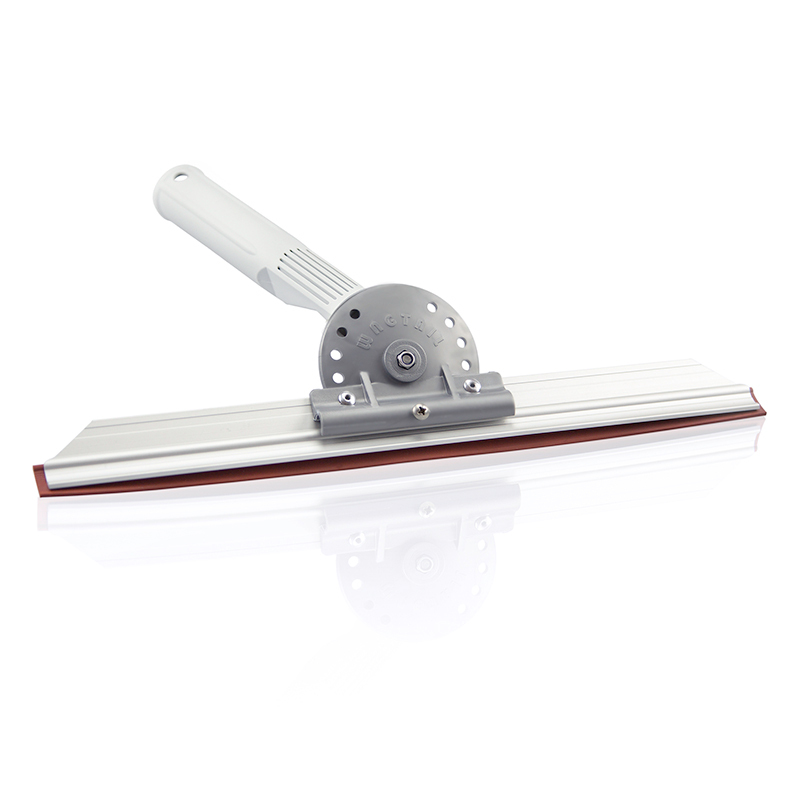 This helps with the problem of choosing the correct squeegee size, because you can keep multiple channels on hand, and select the one most suitable to the windows you're about clean. 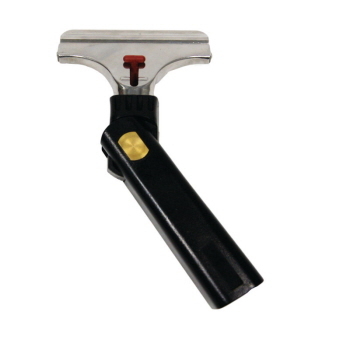 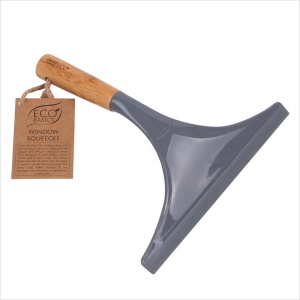 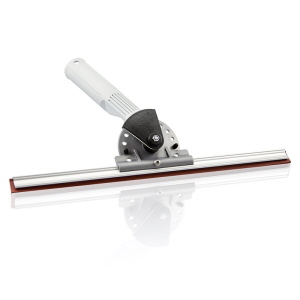 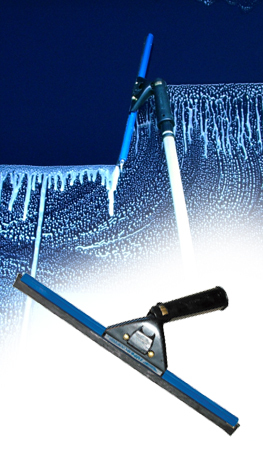 Ettore Squeegee Handle Pro quick-release handle with ergonomic design and no-slip grip. 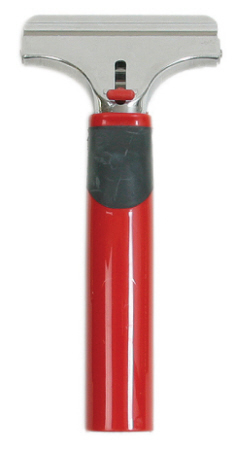 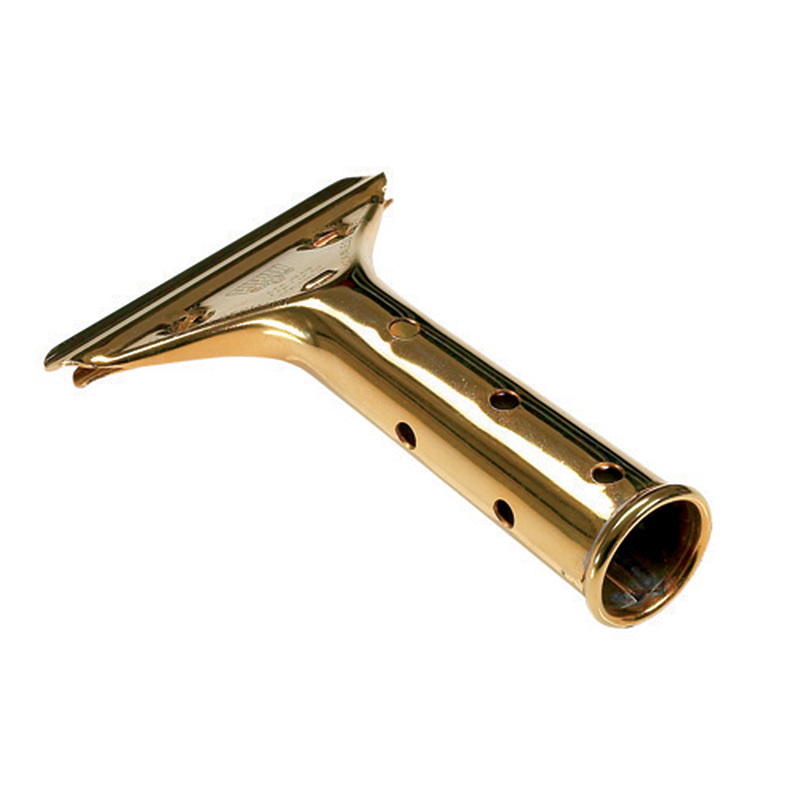 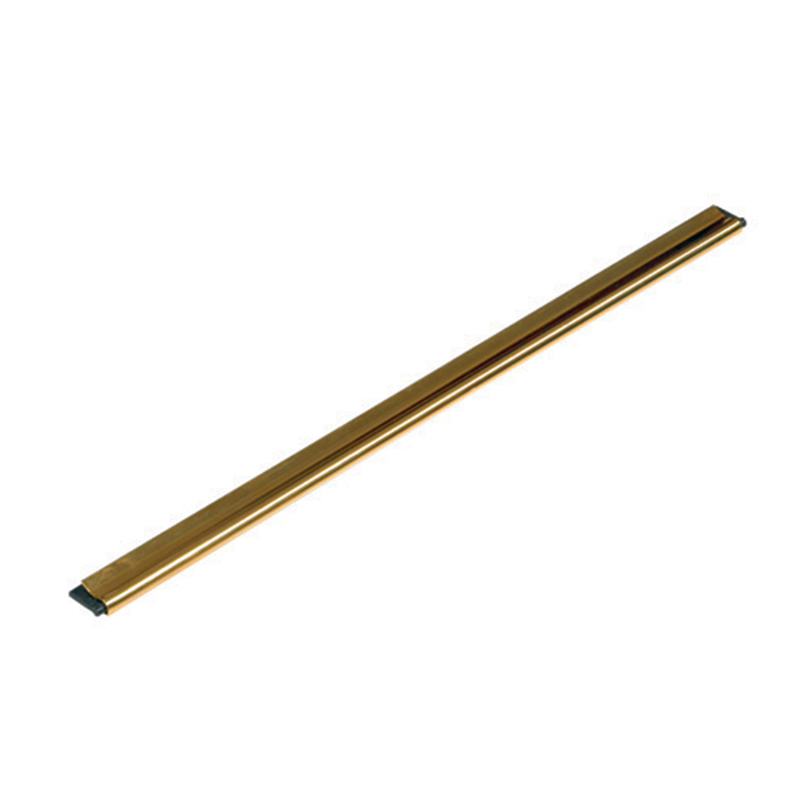 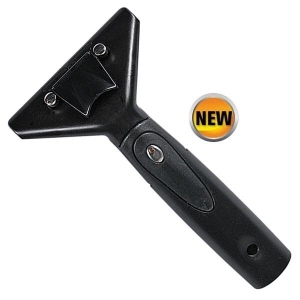 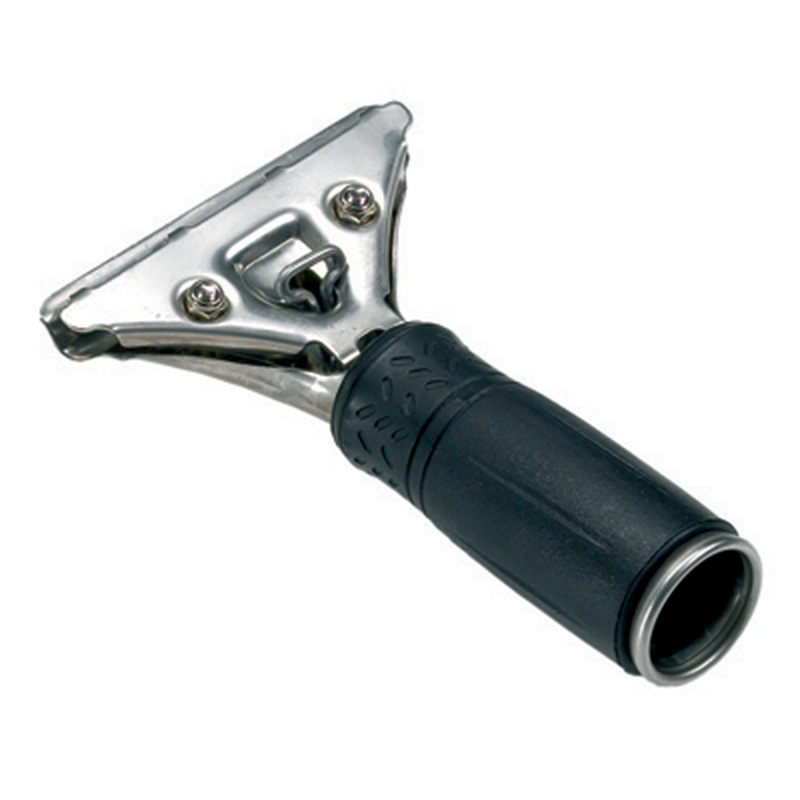 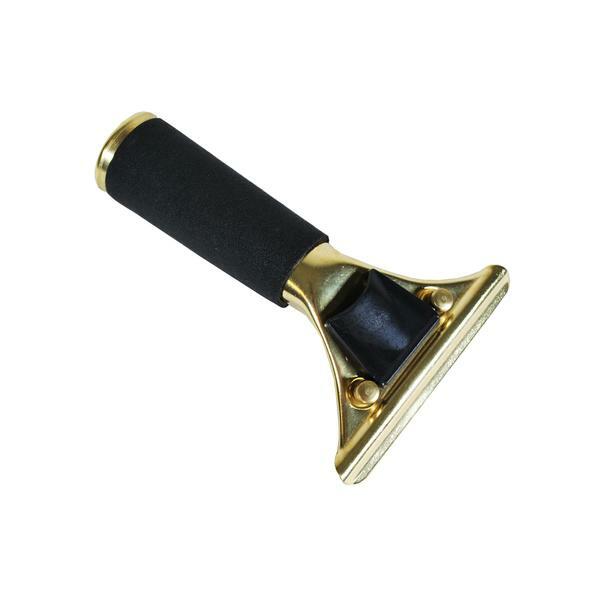 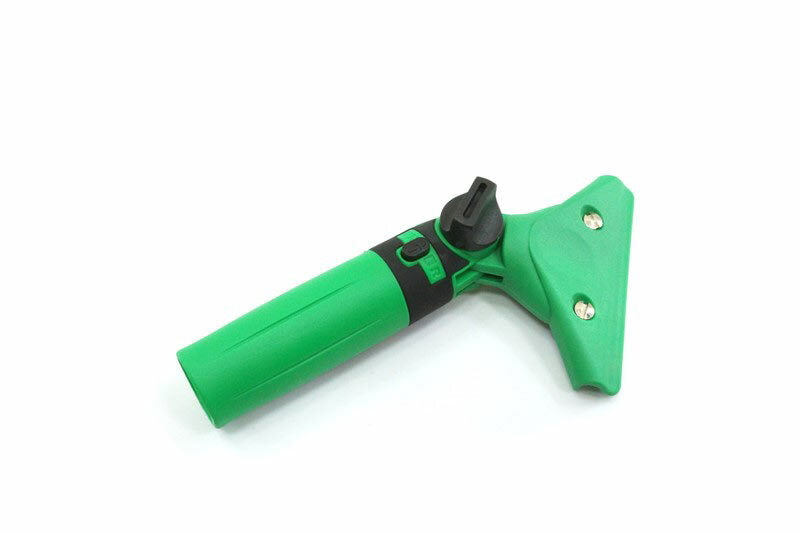 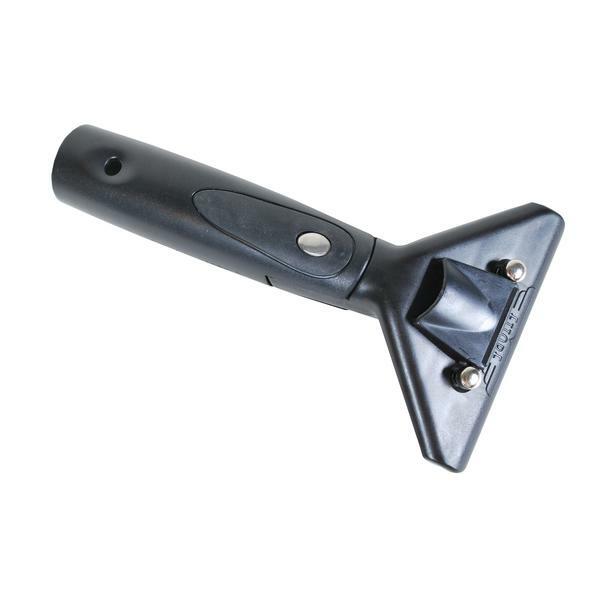 This handle is our shops favourite item of window cleaning equipment. 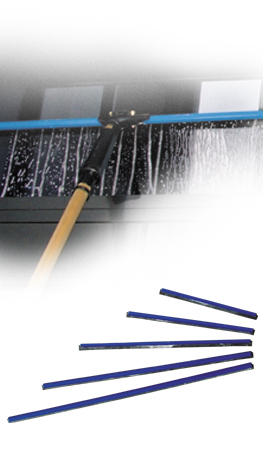 The window Squeegee Handle has either a traditional angled head or the option of Zero degree handles allow access to challenging situations that produces better results when cleaning overhead glass and fanning with a pole, ideal on poles. 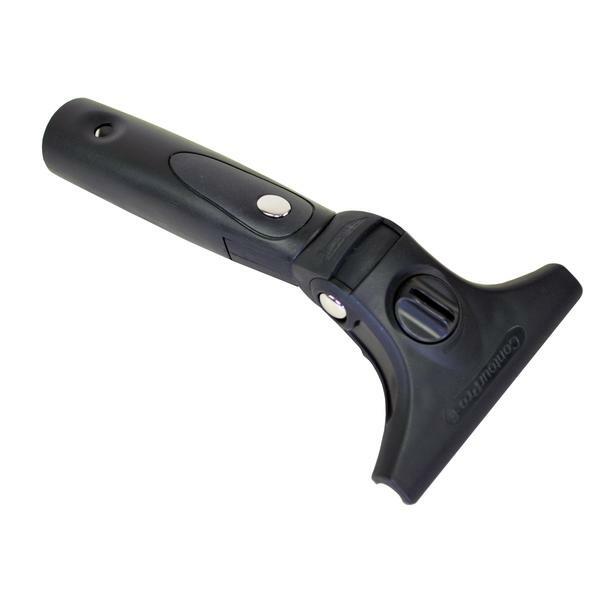 Designed for durability and made from high performance plastics, this new handle is fade resistant and virtually indestructible. 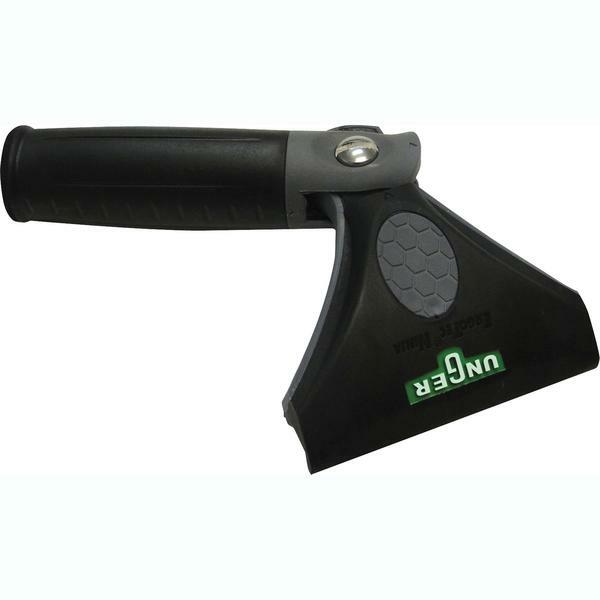 Unger Handle ErgoTec Ninja has an ergonomic swivel handle that offers perfect balance and comfort which means less strain on hand and wrist. Its TriLoc channel locking mechanism allows for fast and secure channel change and repositioning. 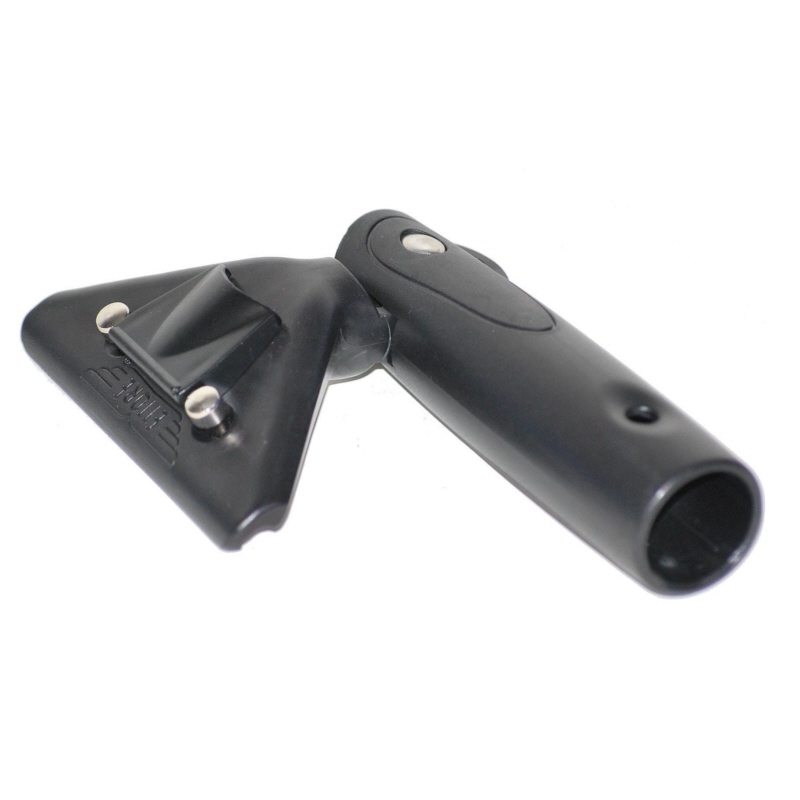 SmartClip is a revolutionary end clip design. 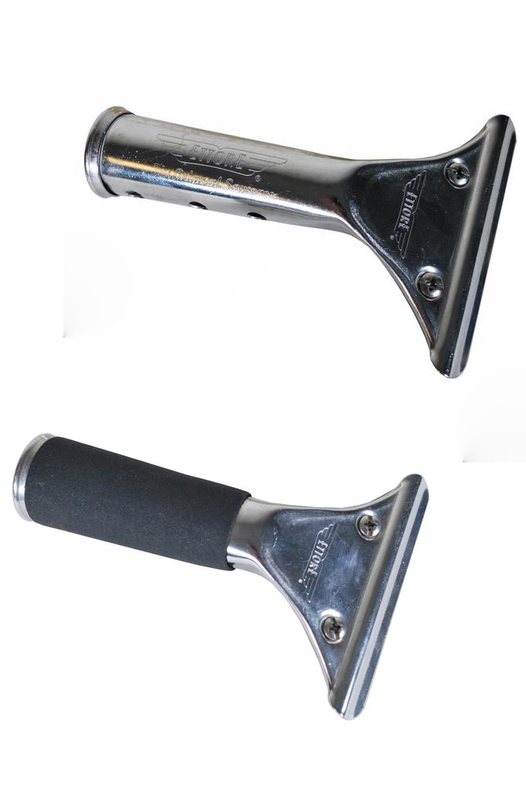 You’ll have fast and easy rubber change that is tension-adjustable. 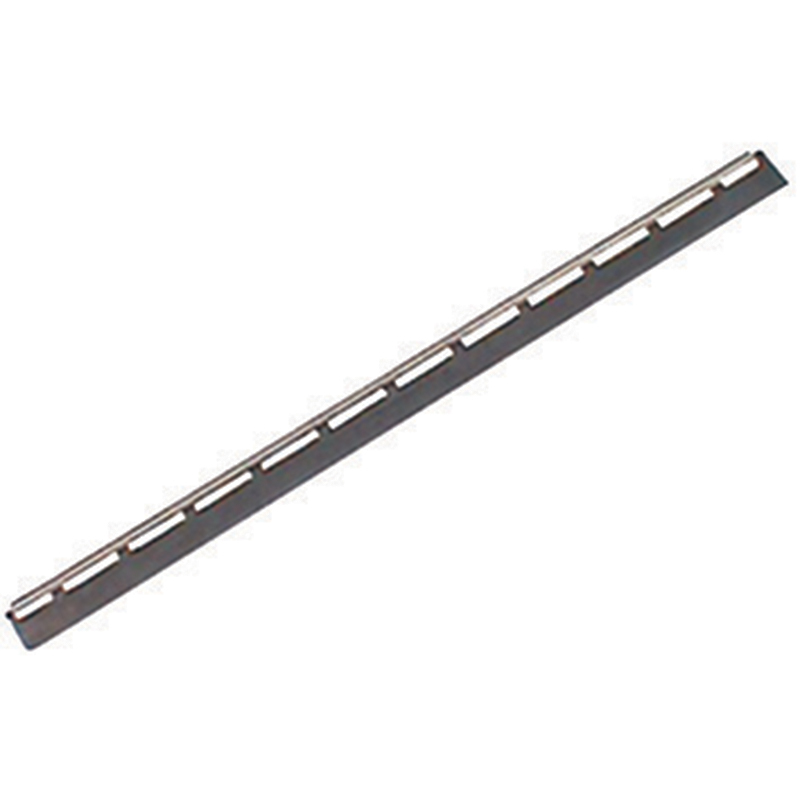 Unger Ninja Squeegee Channel utilises the TriLoc channel locking mechanism which allows for fast and secure channel change and repositioning. 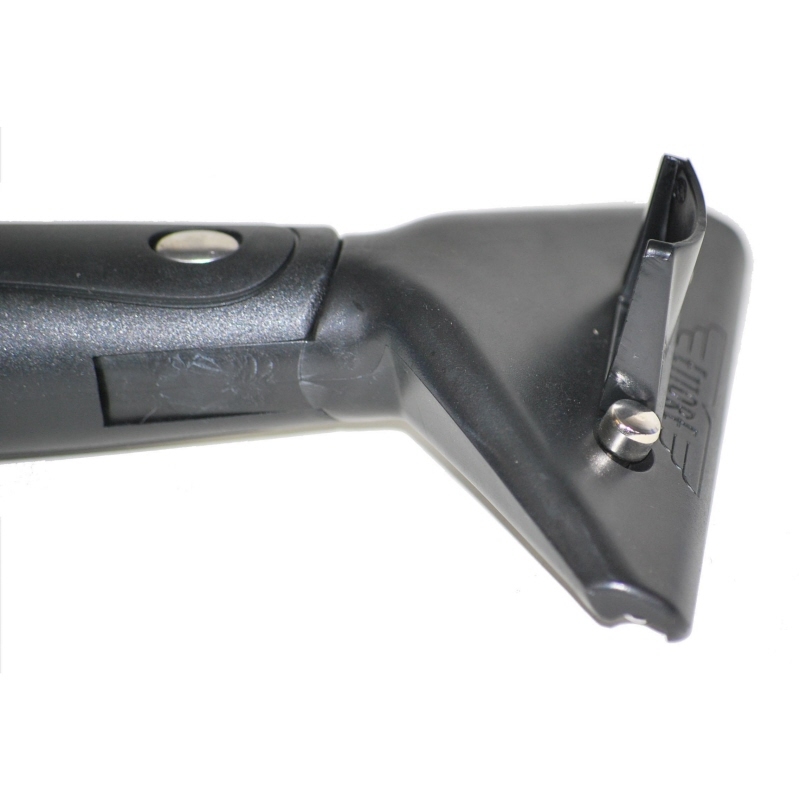 The SmartClip is a revolutionary end clip design. 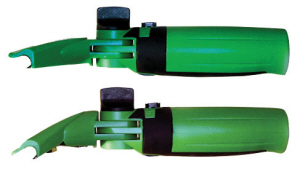 You will have fast and easy rubber change that is tension-adjustable. 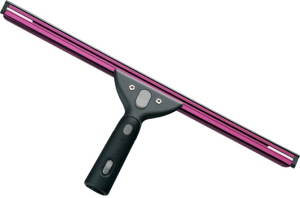 Available from 35-92cm. 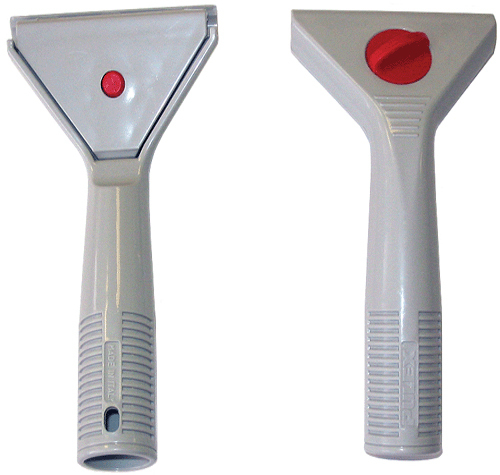 •Convenient: Available in two head angles (0°, 30°).